Boulder’s own Rabbi Zalman Schachter-Shalomi, founder of the Jewish Renewal movement, is number 42 on Michael Lynton’s and Gary Ginsberg’s annual list of the 50 Most Influential Rabbis in America, published in the June 28th, 2010 edition of Newsweek. 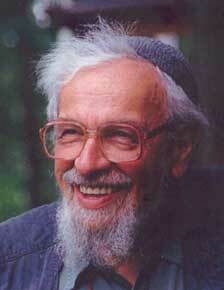 Reb Zalman moved up three slots from the 2009 list. Rabbi Yehuda Krinsky, leader of the Chabad-Lubavitch movement. Rabbi Eric Yoffie, president of the Union of Reform Judaism. Rabbi Marvin Hier, founder of the Simon Wiesenthal Center. Rabbi Mark Charendoff, President of the Jewish Funders Network. Rabbi David Saperstein, director of the Religious Action Center of Reform Judaism. Along with the leaders of all the major denominations and the heads of their respective rabbincal colleges, new to the list in 2010 is number 36, Rabba Sara Hurwitz, the first Orthodox woman rabbi ordained in the United States. You can read about the entire list here.